This is a great gift to buy now and stash in the gift closet! 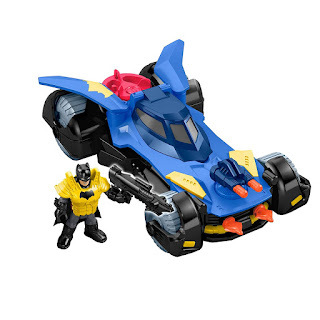 Head over to Amazon where you can score this Fisher Price Imaginext Batmobile for ONLY $10 (Retail $16.99)! This Batmobile comes with a Batman that can pop up cannons and shoot missiles on the Batmobile. The cockpit opens up so Batman can fit inside and it’s wings come out to show the bat symbol.